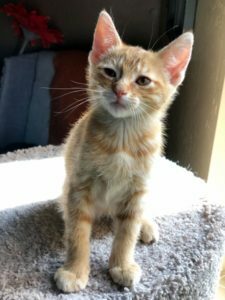 Irish – Male DSH 12 Weeks a 4/11/19 fa – Foreclosed Upon Pets, Inc.
Irish is the only male in a litter of all females. She is a sweet little guy who loves to purr. He is a playful little guy who also loves his toys. He has a good appetite and loves his kitty treats. He’d be a great addition to any household. His adopt fee is $125.00.